The Chamber of Polish Employers is an association of employers operating on the basis of provisions included in the Act on organisations of employers, dated 23 May 1991. The Chamber of Polish Employers is registered in the National Court Register in the Register of associations, other social and professional organisations, foundations and public health care centres under the No. 0000176568. The Chamber of Polish Employers has the following NIP No. : 5252283359 and the European NIP No. : PL 5252283359. The Chamber of Polish Employers was established in the summer of 2003 from the initiative of companies delegating employees to Germany. After Poland's access to the European Union in May 2004 the Chamber of Polish Employers extended its activity on other European Union member states and countries outside the European Union. The Chamber of Polish Employers (www.ipp.org.pl) unites Polish entrepreneurs - exporters offering services within the area of the European Union. 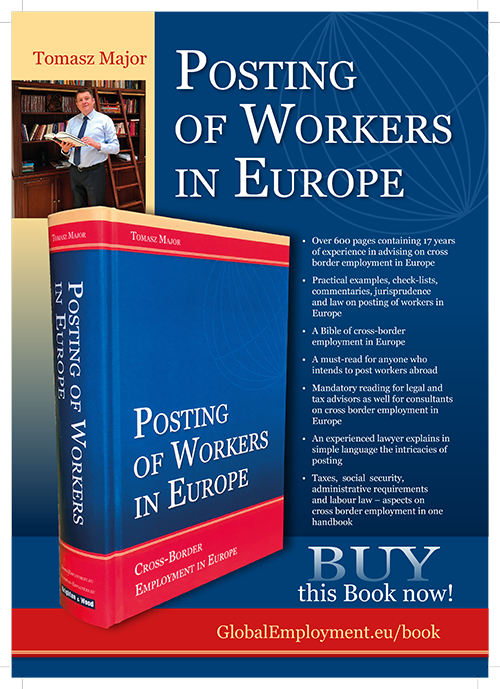 Members include numerous temporary employment agencies, offering Polish temporary employees to foreign contractors. The Chamber of Polish Employers monitors the market of services within the European Union and supports companies providing cross-border services, among others by submitting information for these business entities. More and more foreign employment agencies and foreign industrial companies join the group of IPP members. Since 2006 the Chamber of Polish Employers remains to be the biggest Polish organisation associating companies dealing with cross-border employment of employees. Every year more than 2100 companies sending employees abroad are taking advantage of services and support offered by the Chamber of Polish Employers. In 2004 the Chamber of Polish Employers joined the CEA-PME, the largest European confederation associating unions of employers. The Chamber of Polish Employers is an apolitical organisation, taking advantage, both in Poland and abroad, as well as within institutions of the European Union, of the help offered by members of parliament representing various political options and lobbyists. Since 2010, the Permanent Arbitration Court (www.ipp.org.pl/saipp) has been operating by the Chamber of Polish Employers, investigating disputes between companies. It stands as an alternative for long and costly proceedings before common courts. The Institute of Cross-Border Employment (www.izt.org.pl) established by the Chamber of Polish Employers is a scientific-research institution undertaking legal, tax, insurance and social issues related with cross-border employment of workers in an interdisciplinary manner. The studies conducted by the Institute are precursor studies and within numerous fields, the only studies in the country. The Institute elaborates expert appraisals for the requirements of court proceedings conducted both in Poland and abroad - ordered by common courts, parties and attorneys of court disputes. The head office of the Chamber of Polish Employees is located in Warsaw. The Chamber has permanent branches in eight European countries, responsible for contacts with authorities of the countries where IPP members operate, and with foreign partner organisations. Joanna Bzdok, PhD - General Director of the IPP, JBzdok@ipp.org.pl. Joanna Bzdok, PhD is responsible for functioning of the office of the IPP board and for the national activity of the IPP. Beata Pawłowska - President of the Scientific Board by the IPP, BPawlowska@ipp.org.pl. Beata Pawłowska, coordinates the cooperation with foreign institutions within the scope of exchanging the information concerning regulations binding abroad, and supervises the foreign offices of the IPP. Tomasz Major - President of the IPP, TMajor@ipp.org.pl. Tomasz Major is responsible for the politics of the IPP towards Polish and foreign authorities, and he represents the IPP in its contacts with foreign partners.